Lauren was so busy with clients, that she couldn’t dedicate the time needed to create the site that she had envisioned for her growing company. Recently, with the help of her terrific assistants, Ryan and Heather, Lauren was able to get started on her soon-to-be launched website. As part of this project, John Bessler, a very well known interiors photographer, and Karin Lidbeck-Brent, a talented photo stylist, were here last week, along with Lauren and her team, to shoot my home for Lauren’s portfolio. And, what would a post entitled, “Coming Attractions” be, without a sneak peak of what Lauren helped to design here at our home! Needless to say…we are thrilled with the results…pops of purple and all! Hopefully, the rest of the photos will be published in a shelter mag…but if not, you can be sure I will be posting them here! check out my guest post today over at Party Resources. WOW!!! That's just one snippet and it's fabulous. Oh, I can't wait to see more. I also really like her signage! Maison de Zhush looks like an amazing place! can't wait to see more. She really is talented! Having seen Maison de Zhush with my own eyes, I can say it's "magnifique"! Can't wait to see the final pics! Your home is gorgeous! I can't wait to see more! That is so exciting, for you and your designer! It's a beautiful room and I love the teal in the sofa edge banding and pillows. And, the fact you have an Amanda Talley, let's just say I am more than a bit jealous!!! votre maison est incroyable!!!!!! LOVE, LOVE, LOVE! And can't wait to see what your designer has in store…keeping my fingers crossed that a shelter mag comes your way soon, b/c I don't think I can wait! This is wonderful news for you, your designer and the readers of the mag. Your room tease is very beautiful. I can't wait to see the rest of your house based on that picture… very nice. gorgeous, I love her work! That hallway is amazing! amazing! Adore the rug! Adore the painting…adore everything! Thanks for the sneak peak into your home – it is fabulous!! The hallway in the second photo – the floors, the soaring ceiling the drapes….oh my I love it all!! I know you're excited! Masion de Zhush looks fab! It's GORGEOUS! I hope you get published in a shelter magazine, and then you can post all the other photos too. That sneak peek is making me die to see the rest of your home! Sue!! It is GORGEOUS! It NEEDS to be in a mag asap!! PS. where did you get the little round table nest to the couch? I've been doing exactly the same thing. Lots of work getting a website up, especially when you've spent the better part of the last decade not recording work with professional photographer. Can't wait to see your house! super talented! love these pics. 🙂 but i cant wait to see your pics soon too!!! You're house is beautiful, Sue. Cannot wait to see more! That's pretty freakin awesome!!! You seriously get cooler every day. Haha- I sound like a teenager but it's so true! she's fantastic! – i know ALL about renovations! – it took me SO long to pick out every little things – i was bananas for 3-4 years with it – i'm finally down to ONLY moldings and doors! – now if my darn carpenter will show up and install them! PS – another GIVE-AWAY going on tomorrow! oooh i am loving that roll arm sofa in a major way! I love your living room! WOW! How fun is that! Can't wait to see more! Goodness, Z.! Your sneak peek is blowing my mind. I expect to see your home in a high-end shelter mag very soon. wow these rooms are seriously breathtaking. 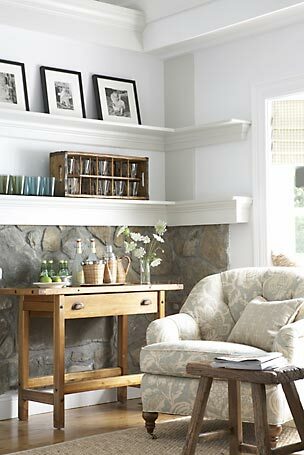 I love the stone fireplace and that white breezy hallway! Perfection! Love the sneak peek! It looks beautiful! Can't wait to see more. Your living room is gorgeous!! Every room should have some purple 🙂 And I'm totally loving that silver balloon dog on your mantel!! Where did you find it?? P.S. Lauren needs to hurry up with that web site!! How exciting! I can't wait to have our home professionally photographed…and I REALLY can't wait to see yours! Oh, my, Madame Zush, your home is gorgeous! I love, love, love it. Please show us more, more, more…okay, I have had too much coffee this morning, but I really do love it. So exciting!!! I am sorry, I can't be your friend any more. I am too darn jealous!!! And I can't wait for more torture..I mean pictures!! it had to be gorgeous!! Beautiful Sue! Professional photography rocks, doesn't it? What a tease! I can't wait to see more of maison de zhush! Where is that silver balloon dog from!?? It's amazing! OH my goodness your living room is GORGEOUS! I can't wait to see more!! Is that an Amanda Talley painting? Love her! Looks fab. WOW! What a lucky gal you are! Your home looks fantastic and I cannot wait to see more! So pretty! Soothing yet textural and interesting at the same time. Absolutely worthy of a magazine feature … but wish we could have a few more peeks! Ahh I love that white hallway! Love the picture from your home! Beautiful! stars! how have you held on to this news for so long? your image is beautiful. and I am totally going for that same look – black and white (divine) art piece/gray walls. lovely. fingers crossed on your publication. we look forward to MORE! The sneak peak of your home is stunning! Can't wait to see what else is in store. Beautiful! 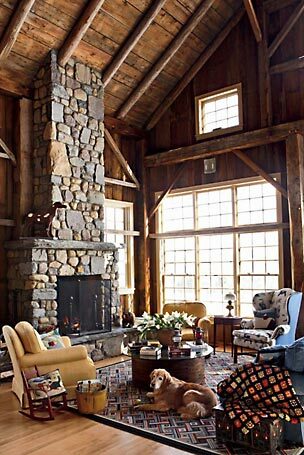 Love all the stone and wood. Wow Sue! That was a glowing review. But I need to clarify to all that it was a collaborative effort… your design enthusiasm and chic style definitely elevated my work. Thanks for being such a wonderful and supportive client. By the way, I have a great "before" picture of the living room that I think you should show. Oh my goodness, it looks straight out of a magazine! I want to see the rest of the pics! 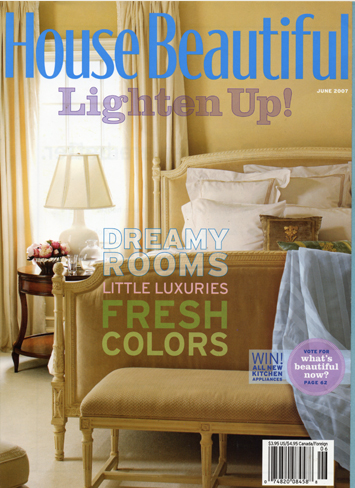 Lauren's work, John's photographs, Karin's styling and Casa Zhush are all just fabulous eye candy. I love seeing a Pop of Purple over the fireplace mantle!!!! I'm sure your home will be scooped up by one of the most fab shelter mags!!! love love the sneak peak!! when do we get to see the rest??? WOW – your home looks fabulous!! Love all of the colors and patterns. Looks so "homey"!! Great job! Oh, how beautiful! I cannot wait to see more of both your home and Lauren's portfolio! I'd love to see the "before" as well. Do you mind sharing the color on your walls….so calming! Your new space is gorgeous! I can't wait to see more! Do I spy a little Jeff Koons? Lucky girl! it's GORGEOUS, sue!!! i cannot wait to see more. so happy for you. Oh my gosh, just beautiful – I want to see more of your lovely home! your house is absolutely beautiful. amanda talley is my favorite!! cannot wait to see the rest! It looks fantastic! Karin and John did a great job. I so wish I could have been there! can't wait to see more! The white hallway with wooden floors is perfect. I adore that photo!! I love both of their work..I look forward to seeing what else of theirs you share with us! Oh, Sue, it's gorgeous. Not that I expected anything less. Can't wait to see more! OMG, your home looks absolutely stunning Sue. Classic and fresh at the same time! I am loving it, pops of purple and all! Stunning, Sue. Seriously. Kudos to you and the design team. Can't wait for the magazine. I will proudly show everyone at the check-out counter — "I know this stylish girl"! I know it will be perfection, especially from the looks of it! Can't wait to see more and for the mag-congrats!! Absolutely gorgeous! I want to see more! LOVE, LOVE, LOVE!!! I am dying to see the rest!!!!!! Sue I adore your living room it is so pefect!! I would be so comfortable there….the Amanda Talley art is to die for! Your room is gorgeous and just pulled together so well! Hopefully we will see you in a magazine! Popping over from Design Ties and just wanted to say that your home is beautiful! Hope we get to see more! WOW. WOWWWWW!!!!! your house is amazing!!! is that a jeff koons balloon dog on your mantle? i am in LOVE with this room . seriously. you have some rockin taste. that is just one of the best rooms i've seen in a long long time. Holy Catfish!!! That is one stunning room…….